I love sitting out in the cubby house and sharing an ice-cream and a chat with my kids. These homemade popsicles are easy to whip up and it feels good knowing exactly what’s in them. The possibilities are endless; start with these basic recipes as a guide and substitute with your favourite fruits. 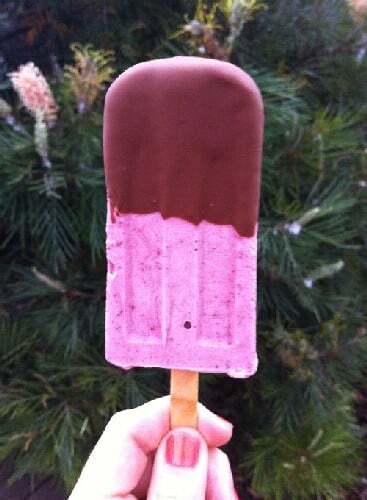 You can also try dipping frozen pops in melted chocolate for choc-top deliciousness! The method is the same for all pops – combine all ingredients in a blender until smooth and pour into your popsicle moulds. Set in the freezer for about 3 hours. In his brilliant book ‘The Omnivore’s Dilemma’ Michael Pollan outlined a foolproof approach to healthy eating – Eat food. Not too much. Mostly plants….